Lot 923. 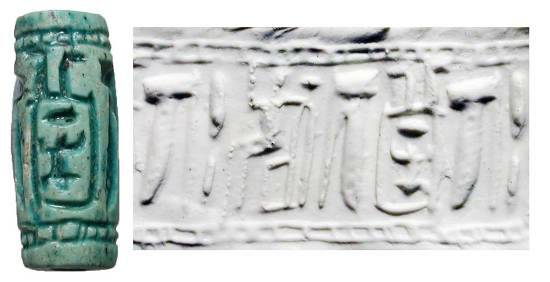 Glazed Steatite Cylinder Seal. Egypt, Middle Kingdom, 2040-1782 BC.